I thought this was a decent movie and a solid follow up to the first installment although I felt like it had little substance and only served to set up the inevitable conclusion in the third installment. 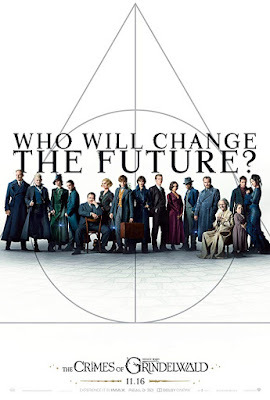 More characters are introduced making the story all about people instead of the fantastic beasts that the title suggests. 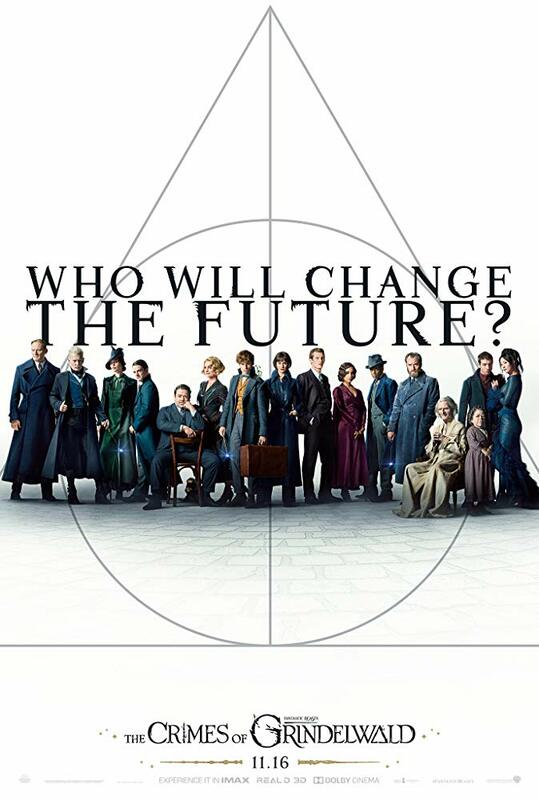 In fact, Eddie Redmayne's character, Newt Scamander doesn't really do much at all even though he is in most of the movie and most of the plot development is moved forward by other characters which is a shame because Redmayne is so good in the role. 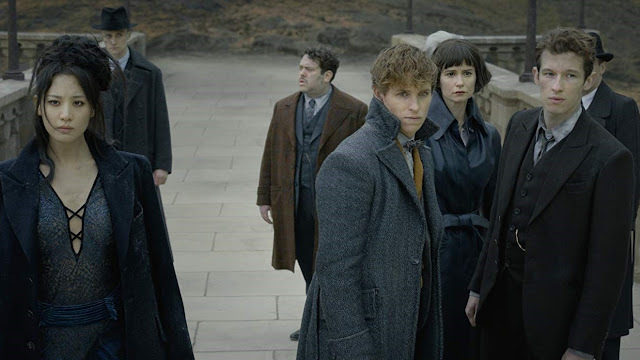 There are a few token appearances by Scamander's beasts but this movie is really all about the crimes of Grindelwald (See what I did there?) who is of course played by Johnny Depp. As imaginative of an actor as he is with multiple iconic performances under his belt, this particular character was about as dull and lifeless as could be. He basically had one emotion the entire movie and also didn't really do much until the third act and ultimate conclusion, again because it had to set up the next movie. On the flip side, I've never been much of a fan of Jude Law but oddly enough I thought he was really good as a middle aged Dumbledore and wished he could have been in the movie more. The Crimes of Grindelwald is not nearly as fantastic as the previous film but fans of the franchise will enjoy all the ways director David Yates keeps pointing out that this is indeed a story from the Harry potter universe. Other than that, this was all about moving characters around, introducing new ones, and setting up the next movie and I'm still not exactly sure if anything actually happened other than an effects driven finale that strangely reminded me of the end of Raiders of the Lost Ark which I guess was kind of cool.